The Chinese government has issued a new directive banning "bizarre architecture", and criticising some of the "oversized, xenocentric, weird" buildings in the country. China has seen a number of architectural gems springing up in recent years, including one building shaped like a teapot and another that has been likened to a pair of trousers. Under the new directive, buildings are to be "economical, functional, aesthetically pleasing" and "environmentally friendly". Here is a selection of the more adventurous buildings that have been developed. 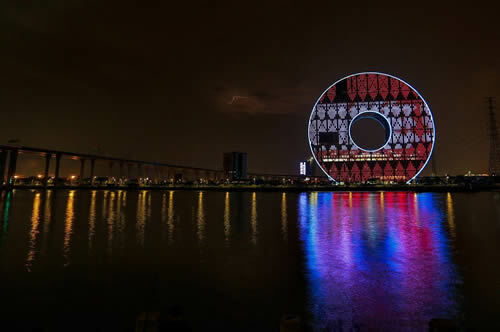 The Guangzhou Circle was designed by Italian architect Joseph di Pasquale and opened in 2013. It is the world’s tallest circle-shaped building at 138m and stands on the banks of the Pearl River. 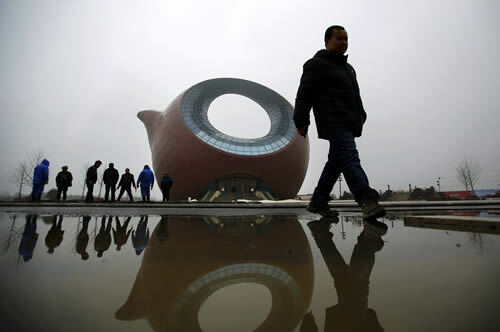 This teapot-shaped building in Wuxi, Jiangsu province, has perhaps the most outlandish design. It was originally designed as a sales office and now includes an exhibition centre. 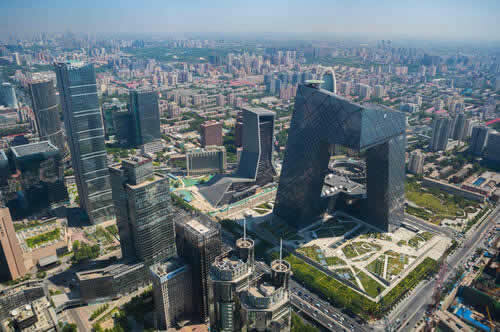 The headquarters of China Central Television (CCTV) was named the Best Tall Building Worldwide from the Council on Tall Buildings and Urban Habitat in 2013, yet some have called it "big pants" due to its resemblance to a pair of trousers. 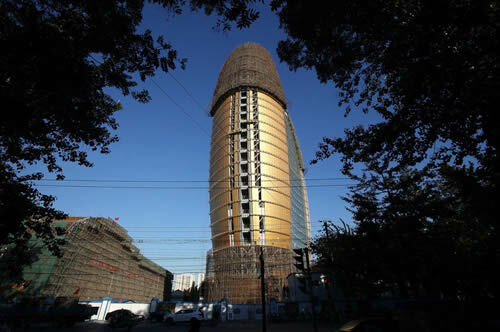 The building of China’s state-run newspaper People’s Daily has often been remarked on for its phallic appearance, especially when seen as here with scaffolding in place. 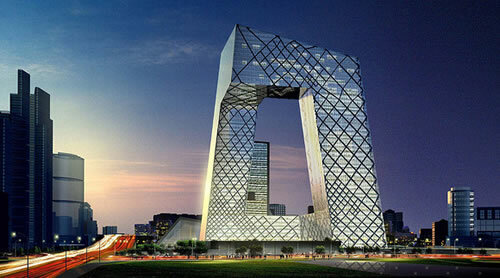 The 150m-tall tower is situated close to the CCTV building in Beijing’s business district. 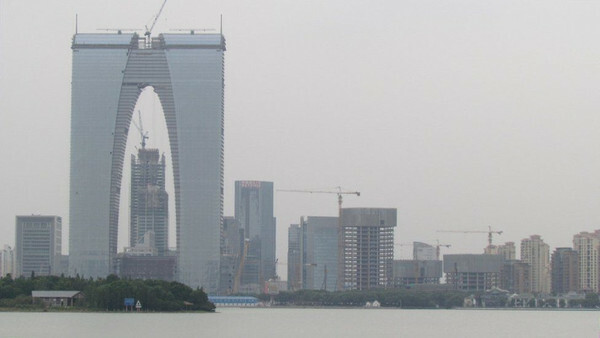 The Phoenix Towers in Wuhan are to be one kilometre tall and are scheduled to be completed in the next couple of years. Their exteriors will be covered in solar panels. The Gate of the Orient was completed in 2014 in Suzhou, Jiangsu province. Like the CCTV building, it too has been compared to a pair of trousers. 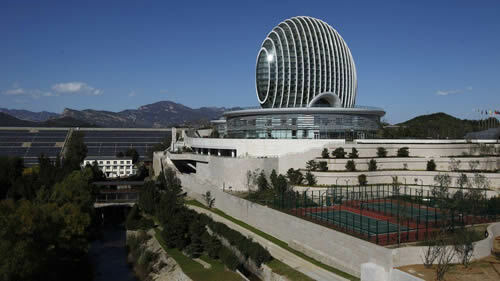 The Sunrise East Kempinski Hotel is set near the Yanqi Lake in the Huairou District of Beijing. 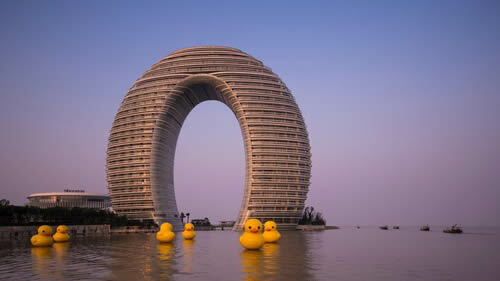 Another dramatic looking hotel is the Sheraton Hot Spring Resort on Taihu Lake, Huzhou, which comes complete with rubber ducks. 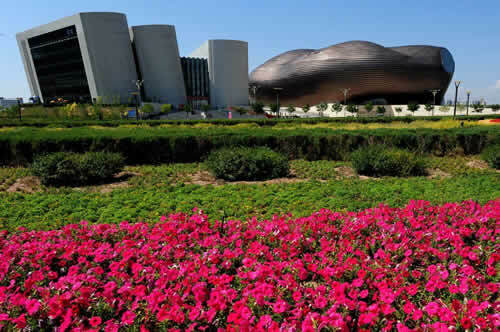 This Inner Mongolian city of Ordos is known as a ghost town due to the low population level, yet it boasts two architectural gems, the City Library (left) and the Ordos Museum.